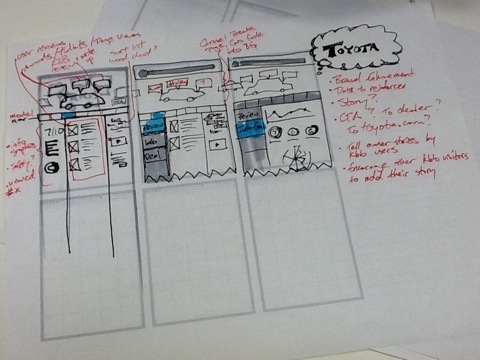 Found this great post the other day about tools for sketching user experience. I already have a Moleskine that purchased several months back and so now I downloaded some wireframe templates from Adaptive Path. I know his post is a few years old, but it did have a bunch of useful info. And good info is always worth repeating. Here’s my use of the wireframe template on a current project. Appreeciate the recommendation. Will try itt out.